Home > Zend Technologies Ltd.
Found 10 file extension associations related to Zend Studio for Linux and 4 file formats developed specifically for use with Zend Studio for Linux. 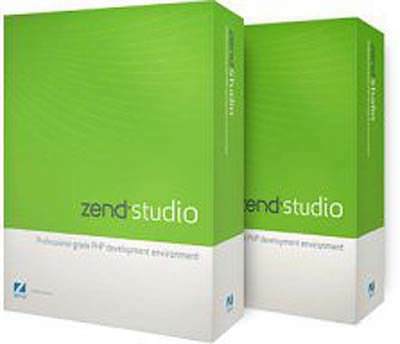 Zend Studio is the only PHP professional development tool - Integrated Development Environment (IDE) available for professional PHP developers that encompasses all the development components necessary for the full PHP application lifecycle. Through a comprehensive set of editing, debugging, analysis, optimization and database tools, Zend Studio speeds development cycles and simplifies complex projects. Zend Studio has been designed to maximize developer productivity by enabling PHP developers to develop and maintain code faster, solve application problems quickly and improve team collaboration. Robust team-oriented features that improve collaboration between project members. The most up to date development environment so you can deliver advanced applications and a richer user experience. If you need more information please contact the developers of Zend Studio for Linux (Zend Technologies Ltd.), or check out their product website.